Mud bath anyone? Today I am reading a compendium of easy recipes for healthy skin in the book, Organic Body Care Recipes: 175 Homemade Herbal Formulas for Glowing Skin and Vibrant Self , by Stephanie Tourles a prolific natural body care and wellness writer (7 books). I’ve skimmed through 9 chapters covering an overview of our skin, hair, nails, a chapter on the ingredients, tools needed for prep and storage and application, then onto to face care, hair care, love potions and women only, and herbal comfort for stress, colds and sleep. There are scads of side bars with sometimes TMI…(like the fact that we have 650 sweat glands with one square inch of skin listed among a dozen other complex structures…. ), pages of resources and huge index cross-referencing natural ingredients and recipes …and 26 recipes for facial masks! This is THE book. She has covered it all. Here is my favorite and quick recipe for a moisturizing facial that I learned from Deb Soule, from Avena Botanicals (where you can buy many of the herbal ingredients used in Stephanie’s recipes). It is what I have done for years when traveling and Stephanie has a similar mask in her book. Simple, there is only one ingredient: HONEY. You can find honey at most restaurants, you know those little jars at breakfast? Or, you can carry little one-serving packets with you. Here’s what you do: wash your face and pat dry, gently spread a thin layer of honey over your face, don’t get it in your hair, it’s very messy, lie down for 10-15 minutes. Then before you rinse off, pat all over your face for a few minutes. It will be sticky, tacky and will feel great, too. Rinse, apply your organic skin care and off you go! Your skincare products have petroleum-based ingredients, or parabens or chemicals you cannot pronounce….What to do? You can Freak Out or take control and start to READ LABELS and make informed choices for your healthy home. 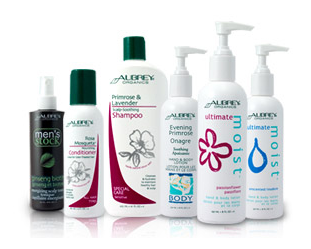 For personal care products Aubrey Organics has a line of excellent products and library of safe ingredients for cosmetics. Dr Epstein’s Personal Care Bible addresses other toxic ingredients in personal care products. 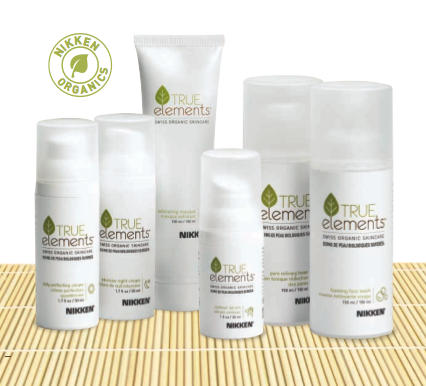 Nikken has a new skin care line, True Elements, available January, 1, 2009, with all organic and natural ingredients- nothing petroleum-based- and bears the European ecocert seal. I have been using the True Elements entire line for the past month and I notice my pores are tighter and my skin is hydrated all day, and people have commented on my skin, the coloring and texture. The True Elements products come singly or as a pack which include exfoliating scrub, foaming cleanser, toner, contour serum, day cream and night creams. There is so much new information about the importance of what we put in our body and on our body. Our skin is the largest organ of our body, so please make smart choices and make the effort to use safe and simply formulated and organic skin care products.